Congress president Rahul Gandhi on Tuesday said he would not let Prime Minister Narendra Modi sleep until all farms loans were waived. The government had turned a blind eye to “loans given to 15 top industrialists of the country, including Reliance Group chairman Anil Ambani,” but made no effort to alleviate the woes of farmers in the last four years, he said. “We promised to waive loans in 10 days. In two States, we did it in six hours,” Mr. Gandhi told reporters outside the Parliament hall. He alleged that the “loans of friends of Mr. Modi and BJP president Amit Shah” had been waived. About Rs. 3.5 lakh crore was waived for 15 corporates, including for Mr. Anil Ambani. Poor people and small shopkeepers were on one side and the group of industrialists on the other. The Congress and all other Opposition parties would stand by the poor and others, he said. Terming demonetisation the world’s biggest scam, he accused the government of having stolen from the public, shopkeepers and farmers. “There will be many more typos coming now,” he said when asked about the government’s claim on the “error” in the affidavit given to the Supreme Court on the Rafale issue. 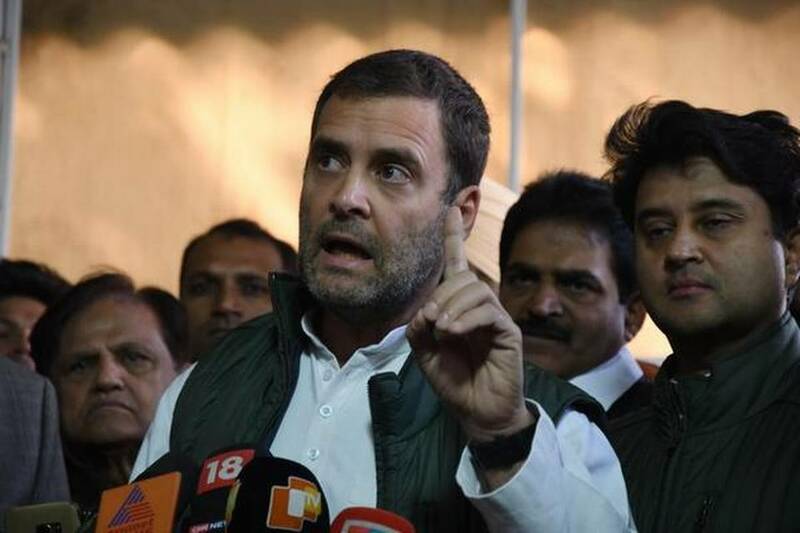 “We will force a joint parliamentary committee on the Rafale issue. Why are they [the government and the BJP) running away from a debate in Parliament,” he said.